For this update… Handmade on sale! 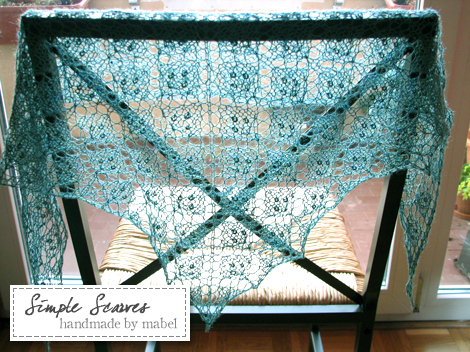 Since I started knitting, I’ve always been fascinated with lace shawls. 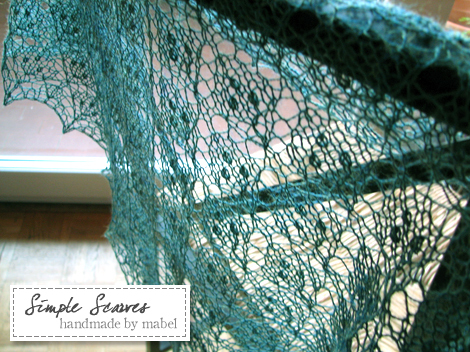 I still remember the frustration yet excitement when I finished my first shawl and then, subsequently, the feelings that accompanied the other shawls that followed on – Shetland Triangle, Angel Lace, Swallowtail, Flower Basket and so forth. Yet, deep down inside, I’ve always wanted to knit up something to call my own and finally, after nearly two years of reading, knitting and plotting, A Leaf In A Leaf awaits. Based on the Leaf Lace stitch from Knitting Lace Triangles by Evelyn A. Clark, I was inspired to add in nupps – nupps that I have seen earlier in the Swallowtail – together with this stitch, creating a tiny leaf in, well, a bigger leaf. This scarflette reminds me of the joys of spring and the colours of autumn, conjuring up vivid pictures of leaves floating gently in the breeze. I’ve knitted this in smooth laceweight yarn (KnitPicks Alpaca Cloud) with a regularly 4.5mm needle, creating a floaty yet drapey scarflette but you can always feel free to substitute with any type of yarn with any needle size or up the number of repeats to get a medium-large shawl. The scarflette in question is available for sale here! The pattern is available as a PDF download as previewed above. UPDATE 21 Jan 2013: To download the latest version (v2.0), click on this link. Be sure to choose the file labelled with v2.0. UPDATE 24 June 2009: A new version of the PDF has been uploaded in place of the old one. Only changes made were to the instructions for Chart A (I wasn’t very clear in the original version). 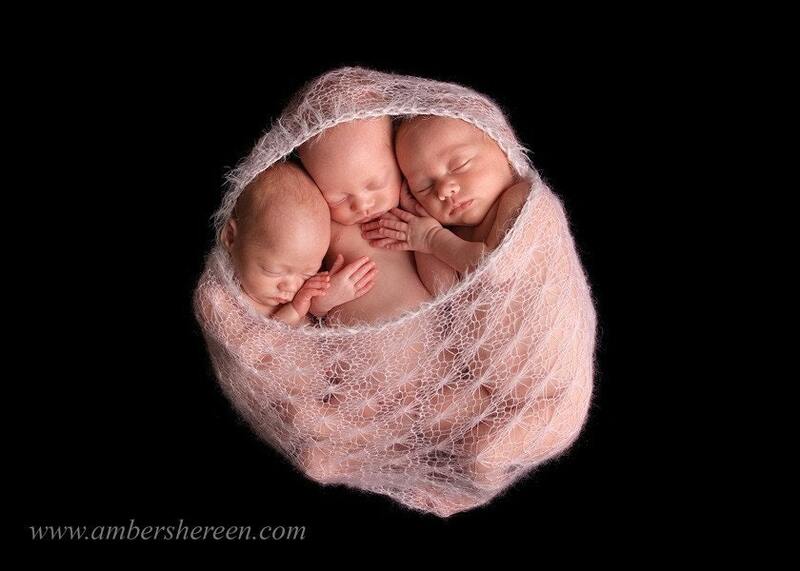 To download, just click here to start the download!. UPDATE 9 Nov: A correction was made to the chart (slip 1, k2tog, psso instead of slip 1, k2, psso). Oops. New PDF file has been uploaded, just click the link above to download! UPDATE 12 Nov: Thanks to Cathy (I ought to send you chocs), I discovered an error in Line 1 of Chart B and subsequently Line 1 of Chart C. There shouldn’t be a center yo in each half of the pattern. Double oops. The new PDF file has been uploaded with a better (and more concise chart), so just click the link above to download! and a lot work I guess! Just downloaded your beautiful pattern (A Leaf In A Leaf)but afraid that the start has me stumped. I can figure out the crochet cast-on start (7 sts) but from there to figure out row 1-14 of chart A has me scratching my head. I’m a still a newbie at lace knitting, I’ve worked with charts before but admit that I’ve never quite seen ones like yours. Do you have the pattern written out (uncharted)? Or perhaps just the beginning and I can figure it out from there? Perhaps you might be able to recommend a tutorial? 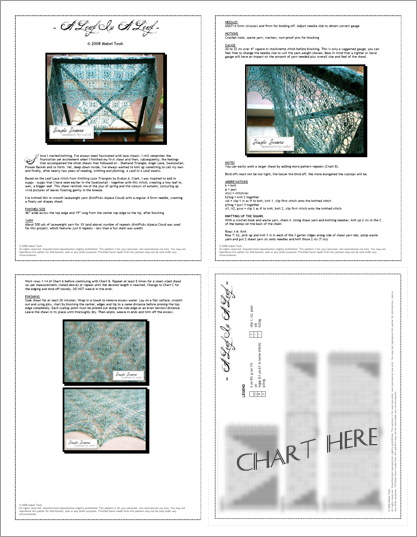 Thanks to Catherine (we conversed over on Ravelry) and I made some corrections to the PDF – just minor ones clarifying how to go about with Chart A. The newly updated PDF is ready for downloading. Just click on the same link! Hi, trying to download the leaf lace shawl pdf and the link doesn’t work. Is it still available? Love it! New to your site. Hi, Julia! Sorry for the link being down. Just moved the site over to a new host so everything is going bonkers. I just fixed the link and it should work now. i’m interested this pattern, but i nowhere found. Maybe you can help me. I ‘ll grateful. Urm, I’m not too sure about the pattern – have you tried looking online? oh my website this I’m sorry . thank you for sharing the pattern of this beautiful scarflette. Hi Just love your scarf and almost finished. I am experiencing a problem and not sure how to solve it. On Chart C Line 9 beginning of row, I am only knitting 12 of the 13 stitches before the pattern repeat starts. Can you please help me. Could it be that you missed out on a yarn over somewhere? Hm, perhaps you can email me a photo of the problem so I can see it better? Sorry it took so long to get back to you. I hardly check this site and missed this out. The chart provided is for one side of the triangle. =If you repeat Chart A again, it should read k2 (edge), yo, k1, yo, k1 (center), yo, k1, yo, k2 (edge). I downloaded the update but it looks just like the original pattern. How do you go from 7 stitches after knitting row 7 to a chart that looks like it calls for a total of 17 stitches to the center? This pattern is totally awesome and I would really like to tackle it. The updated PDF that you downloaded is the corrected version as the original PDF was only available until mid-Nov 2008. Am not too sure which chart you’re referring to but 1) the chart is for one half so you’ll need to repeat it for the full triangle and 2) the dots are nupps (k1, yo, k1 in the same stitch). Hope this helps and do let me know if you need more help. Love this shawl, but I cannot figure out how to work chart A. I have 7 stitches, but the chart reads to me as row 1= yo, k, yo. Totally baffled! I am really new to lace knitting, so this pattern chart is not intuitive. The chart is just for one half of the triangle so you’ll have to repeat the middle portion of the chart for the full triangle (the portion that isn’t indicated as edge or center).